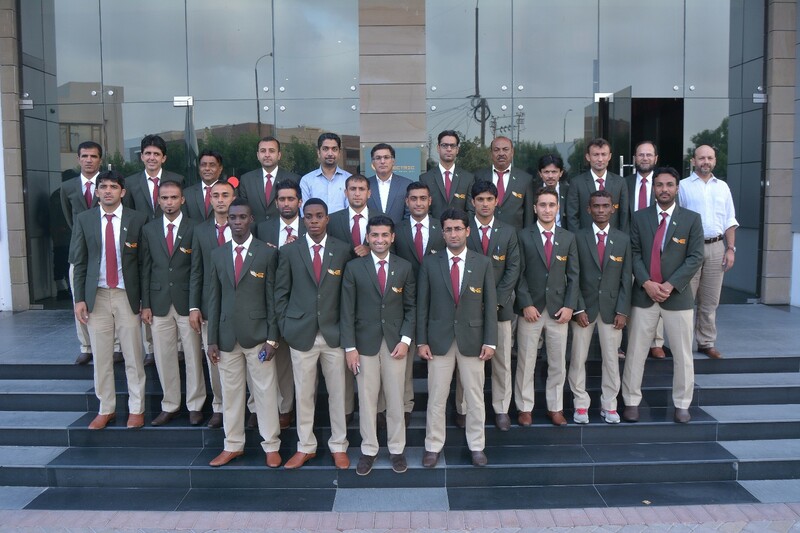 Lahore: Karachi Electric said that K-Electric’s 17 man squad left for the Asian Football Confederation (AFC) Cup Qualifiers for Bhutan on Saturday, and K-Electric’s CEO Tayyab Tareen along with KE’s leadership, wished them the best of luck. The team, captained by former Pakistan Football team captain Essa Khan, had also met with CEO Tayyab Tareen and other senior company officials at the KE House on Friday. The squad has had a phenomenal track record this year, emerging as champions in the Pakistan Premier Football League which helped them secure a place for the AFC Qualifying matches. K-Electric has also bought in UK-based players along with a UK-based Coach and the entire KE football team has been engaged in an intense training camp at the Steel Town Housing Complex for the past week. An exhibition match was also held on Thursday against members of the Pakistan Cricket team in which the winning cricketers also shared motivational tips and their experiences with KE’s football players to boost their confidence for the upcoming tournament. KE CEO and leaders further motivated the players and stated their full confidence in the squad and seeing the football team off, CEO K-Electric added, “It is a big honor for team K-Electric to be part of the AFC Qualifiers. They will not only be representing KE but also Pakistan on an international forum, and we are proud of their achievements. I want them to give their best for the tournament and make Pakistan proud.” said Mr. Tayyab Tareen. Former Pakistan Football team captain and K-Electric’s captain who plays attacking mid, Essa Khan added, “We are confident of doing well as we have players who have gelled before expectation. We have some foreign-based players in our team who have experience of playing in England and Africa, their experiences help us too. We hope we give Pakistan positive recognition in the international football arena”. K-Electric will be playing Bhutan’s Druk United on August 11th and Khoromkhon FC from Mongolia on August 13th.